With the British Museum‘s current exhibition examining the body in Ancient Greek art until the 5th July 2015, Home Arty Home takes a look at the lasting appeal of ancient statues. Carved from stone and steeped in mythology, ancient statues have an enduring power which lends an almost superhero quality. As much as some of us might like to have an original marble bust in our homes, the cost (and weight!) can be prohibitive so a contemporary print is a great way to bring a traditional theme into the home yet in a modern way. Take these interpretations by the three artists & designers below. With ancient statues as a starting point, the resulting work is firmly “now”. Luke Edward Hall, who works at Pentreath & Hall, is the designer behind a new range of art-driven home accessories, including these prints, cushions, and plates inspired by ancient statues. 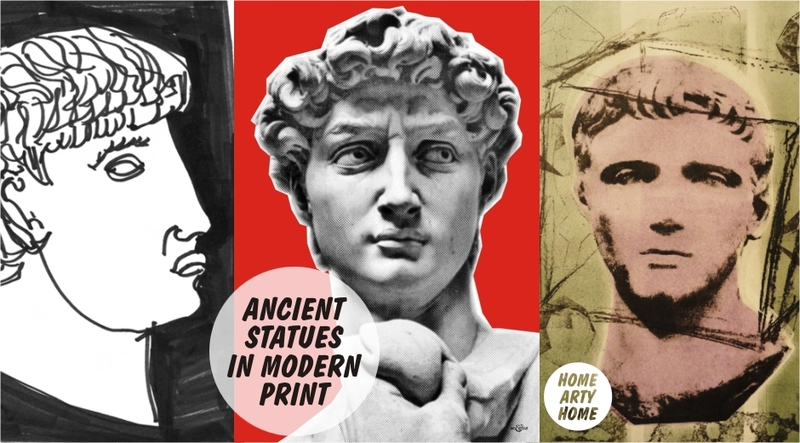 Art & Hue‘s pop art treatment of Michelangelo’s David gives a strong modernity to the statue. The retro bodybuilder print, whilst not strictly a statue, gives the impression of muscle carved from marble. 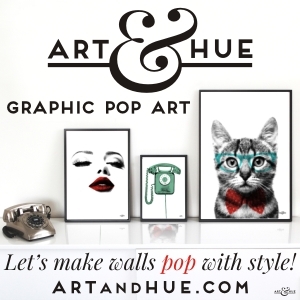 All Art & Hue prints are available in a choice of colours. Carmine Santaniello‘s reworkings of Antinous have an appealing edge that reminds me of Jean-Michel Basquiat and these prints would work equally well in a contemporary or traditional space.